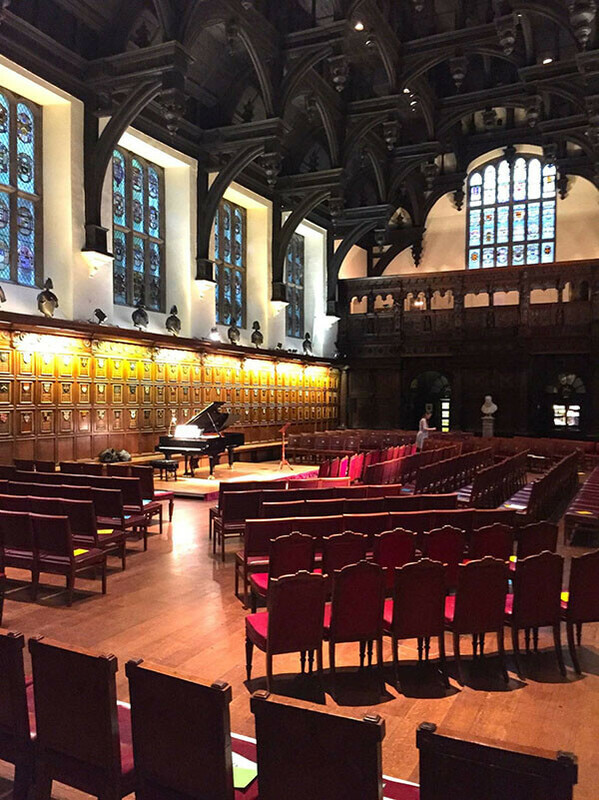 Over the last few years, since the inauguration of Temple Song in 2006, I have performed in the glorious Middle Temple Hall with an array of the best singers in the world, most of them discovering the hall for the first time. Olaf Bär, Thomas Allen, Felicity Lott, Christoph Pregardien, Ian Bostridge, Simon Keenlyside, Sergei Leiferkus, Gerald Finley, Willard White, Robert Holl, Danielle De Niese, Ann Sofie Von Otter – they all say it is one of the very best acoustics for song they know, a wonderful place to sing. Julius Drake has assembled a collection of Rachmaninov’s unique romances to tell a love story in song. He is joined by two superb singers, the young Russian soprano Sofia Fomina and the British baritone, already a firm favourite at Temple Song, Roderick Williams. The brilliant young Scottish tenor, Nicky Spence and Slovenian soprano, Barbara Kozelj join Julius Drake in a feast of great Czech masterpieces. One of today’s great singers returns to Middle Temple Hall. Click here to download the January – July 2019 Temple Music brochure. Julius Drake has been Artistic Director of the Machynlleth Festival since 2009, aiming both to celebrate the very best in Welsh traditional music, and to draw together some of the finest classical musicians from all over the world to make music in the superb acoustics of the Tabernacle. Two brilliant young artists, Jess Gillam and Zeynep Ozsuca, will light up the Tabernacle with music from the 18th century to the brand new, plus 20th century classics by Britten, Poulenc and Bartok . One of the brightest young talents of her generation, the French/Belgian cellist Camille Thomas joins Julius Drake for a concert featuring classics of the repertoire by Schumann, Brahms, Messiaen and Cesar Franck. Masterclass with Dame Anne Evans. One of the greatest dramatic sopranos of the last fifty years, Dame Anne Evans works with hand picked young singers from the Conservatoires, culminating in a concert in the Tabernacle at 5pm. Welsh guitarist Adam Kahn and Argentine guitarist Luis Orias Diz explore the story of Welsh settlers in Patagonia performing a candle lit concert that includes Tango’s from Buenos Aries and exciting works by Stephen Goss, Dafydd Bullock, Astor Piazzolla and Alberto Ginastera. From the exquisite, anguished lament for a lost, betrayed love in Strozzi’s “’L’Eraclito amoroso”, to Monteverdi’s sensual “Lettera amorosa”, and the fierce, indignant torment of Carissimi’s “Apritevi, inferni”, Elin explores the emotionally-charged, complex and deeply personal musical worlds of these monumental composers. Three superb string players join forces for this late night performance of one of Bach’s greatest works in a classic arrangement for string trio. Shakespeare’s plays are filled with music and songs and in this delightful programme, compiled by one of the world’s leading lutenists, Elizabeth Kelly, Shakespeare’s words are heard alongside songs by his contemporaries that connect with his preoccupations or his professional circle, including John Dowland, Thomas Morley, Philip Rosseter, Robert Johnson and Henry Purcell. To view the 2019 programme, please click here.